We believe that the most important skills any student must master are core subject basic skills. Basic skills are those foundation skills in reading, writing, mathematics, as well as learning skills and study skills. These skills will set the stage for students to begin learning all of the unique, exciting, and sometimes technologically advanced concepts their own personal interests will guide them toward. Literacy is the "ability to identify, understand, interpret, communicate, compute and use printed and written materials. Literacy enables individuals to achieve their goals and to develop their knowledge and potential. The school governance policy defines how the staff and community will make decisions for the benefit of all students. The teachers on the team were elected by their peers on the staff to speak for them and make sure that all school decisions are student centered. Accountability is paramount and student learning data is used to evaluate and adjust implemented initiatives. At all times we will make data driven decisions. Children who are excited about what they are doing tend to acquire the skills they need to do it well, even if the process takes a while. When interest is lacking, however, learning tends to be less permanent, less deeply rooted, less successful. Performance is a by-product of motivation. We will ensure that classrooms preserve and enrich kids' desire to learn. Part of the students’ motivation will come from expanded activities and experiences that can be achieved once mastery is demonstrated in core subjects. 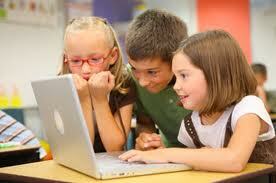 We will provide grade level common assessment based on standards at a minimum of every three weeks. This will ensure consistency of curriculum delivery to all students in a common grade level. All students who demonstrate proficiency in reading will gain access to enrichment activities for 60 minutes each of the following three Tuesdays. All students who demonstrate proficiency in math will gain access to enrichment activities for 60 minutes each of the following three Thursdays. Students who do not demonstrate proficiency for that three week period will get the specific instruction they require to become proficient. They will receive targeted remediation during the 60 minute blocks of time on Tuesdays and Thursdays. All teachers know they will be held accountable for student learning. Not only are they responsible for the students assigned to their classroom, they are responsible to increase learning across the grade level through collaborative effort. It is the responsibility of every staff member to make sure that all students are receiving the targeted instruction they need in order to be successful. This is done through shared governance and teamwork. We will provide instruction based on the traditional CCSD 9 month calendar, with the standard instructional day. Two practices will set Derfelt apart from traditional schools. First, we will utilize a unique set up of blocks of time for Intervention and Enrichment (I/E). Classroom teachers will provide specific remediation for all students who do not demonstrate mastery. Art, Music, Library, and P.E. Specialists will collaborate with grade levels to provide enrichment that is arts infused and exciting for students. Second, we will provide instruction using cutting edge technology, i.e. Smartboards and Elmos, to promote higher levels of student engagement and interaction with instructional materials. All standards for each grade level will be posted on the school website for the current three week instructional period. Parents and students can access those standards in a web based format at Riverdeep. Standards based skills practice and enrichment for Language Arts and Mathematics can be performed from any computer station. We will make computers available daily to parents and students before school hours. We believe that parent involvement can take many forms, attendance at academic celebrations and after school events, assisting with school activities, or advocating for the school’s needs. We also believe that everyone has input into the change process. Herbert A. Derfelt Empowerment School will be able to make quick and powerful decisions concerning student learning. Parents will be consistently involved in core-impact instructional decisions through the PTA, and the PTA President’s participation as part of the School Empowerment Team. Stakeholders will consistently know what is going on in the classroom and how their decisions have influenced student learning. All guidelines and expectancies for parent involvement are defined in the Parent Participation Policy.